Guest Design Team Call EXTENDED! * Create 5 projects for CC&M from the materials provided. Two projects will have an assigned theme for our blog hop and then one project for each of the other three weeks during the month. Any extra materials sentare yours to keep. * Photograph your projects. 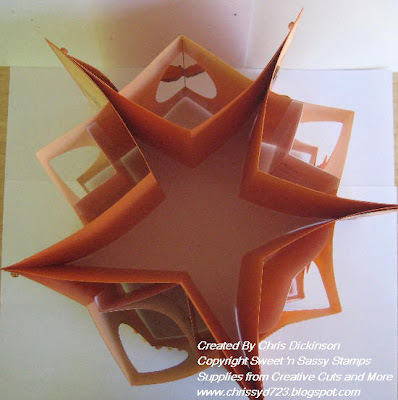 Post photographs and product recipes to your blog, to Splitcoaststampers, and any other galleries of your choice. * Submit same photo and product recipes directly to CC&M and grant CC&M permission to use them in CC&M’s blog, Web site, gallery, etc. 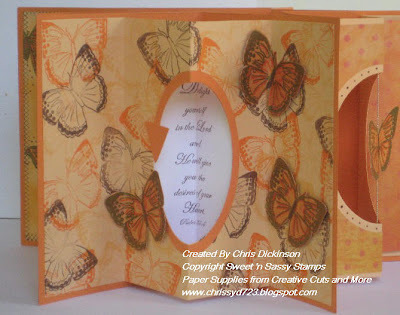 Once the projects have been submitted, you will receive a gift certificate for $25 in free cardstock and die cuts of your choice from the CC&M Web site. You will also be eligible for a 25% discount on any purchases you make at that time. * What would make you a great choice as a guest designer? Please e-mail us at customerservice@creativecutsandmore.com and put “Guest Design Team Call” in the subject line. Submissions close on July 6, 2009, and notifications will go out shortly thereafter. 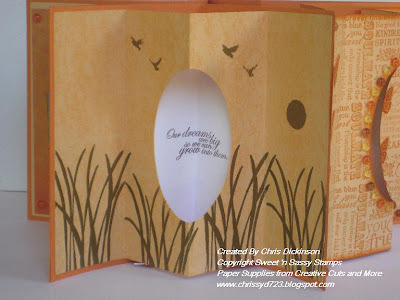 We are lucky to have Lisa Graves as our Creative Cuts and More guest designer this month. Lisa made this adorable travel bag from our Tiffany Purse . The purse was custom cut from Bazzill Bling card stock and decorated with 7 Gypsies paper and Making Memories brads. Thanks for the inspiration Lisa, we love this bag! Don't forget to check out our Guest Designer post. The deadline has been extended and applications are being accepted through July 6th. Don't ya just love whimsy? I made this little whimsical bag with the XL Tuck and Close Bag from Creative Cuts and More. 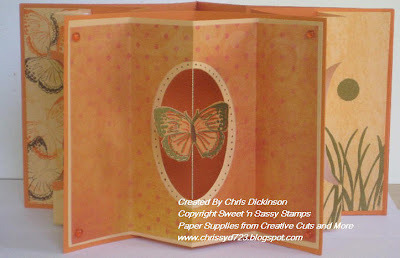 It was a blast to make, I stamped a fairy (About Art Accents) on watercolor paper and colored it with Prismacolor pencils and blended it with goo gone then stamped a few butterflies on acetate, colored them with Bic Mark Its and glued them on after adding lots of ribbon. I finished it off with a few squirts of shimmer spray. A perfect bag for a lovely gift for a whimsical friend. Please e-mail us at customerservice@creativecutsandmore.com and put “Guest Design Team Call” in the subject line. Submissions close on June 30th, and notifications will go out shortly thereafter. Our fabulous guest designer, Chris Dickinson made this fabulous center piece for her daughter's graduation. 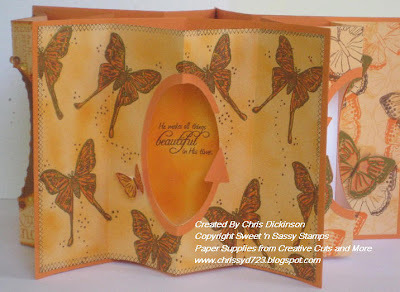 All you need is five of the A6 Oval Cutout Accordion Insert & A6 Card Set from Creative Cuts and More. As always, there is every color in the rainbow to choose from. Stamp Sets used were from Sweet 'n Sassy Stamps: Dream Silhuoettes, In His Time, All in a Row (retired SU) and a jumbo wheel by SU too. Our wonderful guest designer, Dawn has created this fun Father's cake box using our Creative Cuts and More "Cupcake Box". Dawn wanted to make a box to hold a tie, the typical Father's Day gift. Dawn made some diamonds for the sides and paper pierced aro und them and just added some ribbon along the top of the box. She also used the insert on the bottom of the box so the tie would sit higher. This box would also work great for a pair of dress socks. Thanks Dawn for inspiring us!